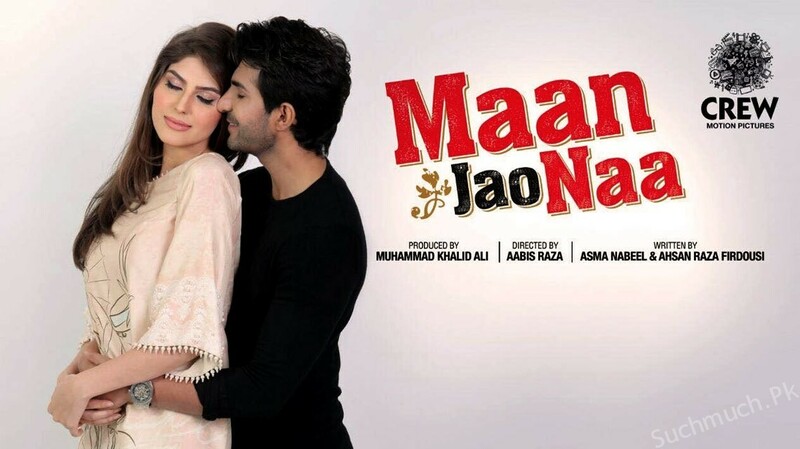 'Maan Jao Naa' - A Pakistani Rom-Com Is about to Hit the Cinemas Nationwide and We're already Excited! There’s no doubt about the fact that Pakistan film industry is growing at a really fast pace, it has surely proven itself in just a few years. In fact, not just in Pakistan but all across the globe. More and more Pakistanis now look forward to watching Pakistani movies and have a good time with their friends and family! However, another movie, a HUM TV release is about to hit the cinemas nationwide. Shot in Karachi, the movie Maan Jao Naa is set to release on 2nd February 2018. If we talk about the genre and the storyline of the movie, it’s a light-hearted romantic comedy. The story revolves around today’s youth and their interpretation about of love and life. Maan Jao Naa is a story of a girl who does not believe in love. Despite her not believing in love, it hits her in the most unexpected way. Now, if you’re eager to know the cast and crew behind this film, it is directed by Aabis Raza, produced by Muhammad Khalid Ali and written by none other than Asma Nabeel and Ahsan Raza Firdousi. The director, Aaabis Raza has chosen Naaz Norouzi, an Iranian beauty as the lead actress of this film and Adeel Chaudry as the male lead. Such a duo! If we talk about rest of the cast, it includes some really talented and established individuals from the industry such as Ghana Ali, Ayaz Samoo, Hajra Yamin, Naeem Haq, Asif Raza Mir, Asma Abbas, Sabahat Bukhari, Muhammed Ejaz, Ali Gul Pir, and Nayyer Ejaz. Yes, the super-talented Ali Gul Pir has also made it to the cast! How can we not talk about the music, it will be taken care of by the amazing Shuja Haider, Asim Raza and Bucky Haider. Also, the movie is a complete family movie (something which many parents are now afraid of watching with their children, full of emotions and laughter. A different experience after quite some time. Definitely a movie, worth-watching! How many of you are already excited?